LIS Facebook cover photo – a seedling from Indian Creek Iris. Upcoming and past events of the Lincoln Iris Society, and other iris news, can be found on their Facebook page. Thank you David Toth for creating this. You can also find out more about the Lincoln Iris Society in their newsletter. See the Rainbow Messenger on the Region 21 newsletters page. The American Iris Society has begun requiring digital images with your submission of iris registrations. To help you, Neil Houghton, the Image Coordinator, has put together a process and a quick guide to make it easier for you. You .can find all the details in Submitting Digital Images with Registrations (PDF). Neil would be glad to answer any questions, email images@irises.org . Newsletters – Club newsletters and the Region 21 Bulletin. Do you have other newsletters we should add? Minutes is the newest page and is just getting started. It has the Fall 2015 minutes for your reading pleasure:) Can you help us fill in the blank spots? We would appreciate earlier minutes, especially 2010 through early 2015, and later minutes. Thank you for your help! The American Iris Society the World of Irises blog has frequent posts covering iris topics and always including great iris photos. 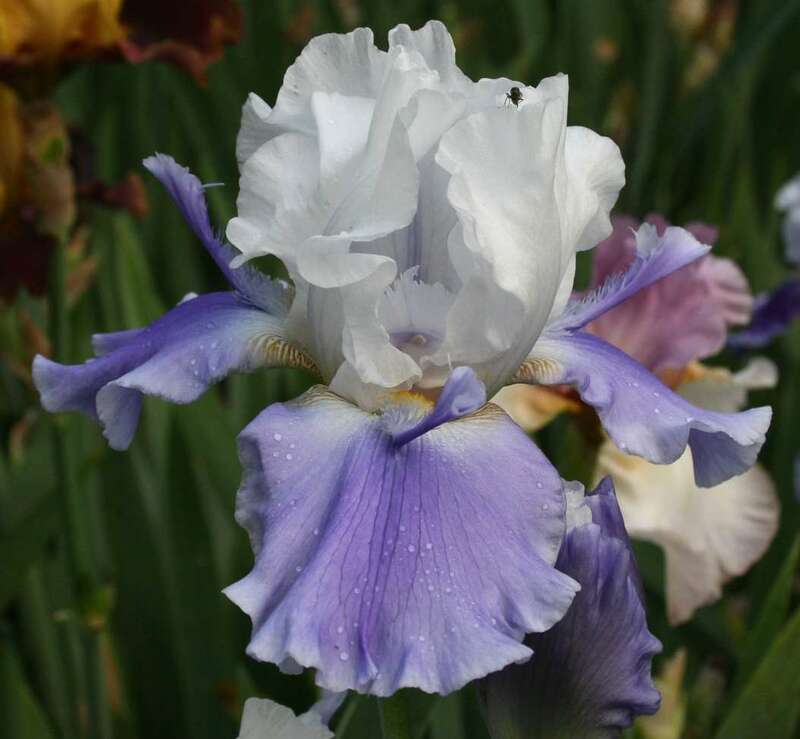 Jean Richter recently wrote “Space Age Iris of the Early 21st Century” which included two Nebraska hybridizers. LeRoy Meininger was represented by ‘Beneath My Wings’ (2005) HM 2007, AM 2011. Leonard and Kathy Jedlicka’s ‘Isadora Belle’ (2009) is the other Nebraska space ager shown. (Both of these cultivar links are to the Iris Encyclopedia entries.) One of the things I learned by checking the cultivars’ entries is that Jedlicka’s iris pedigree included one of Meininger’s seedlings. Thank you to all our Region’s hybridizers for their contributions. Bonus Note: You can see the most recent 100 titles (with links and automatically updated) from the World of Irises here. A reminder that all AIS members are eligible to vote for up to 25 irises in the annual TB Symposium voting. 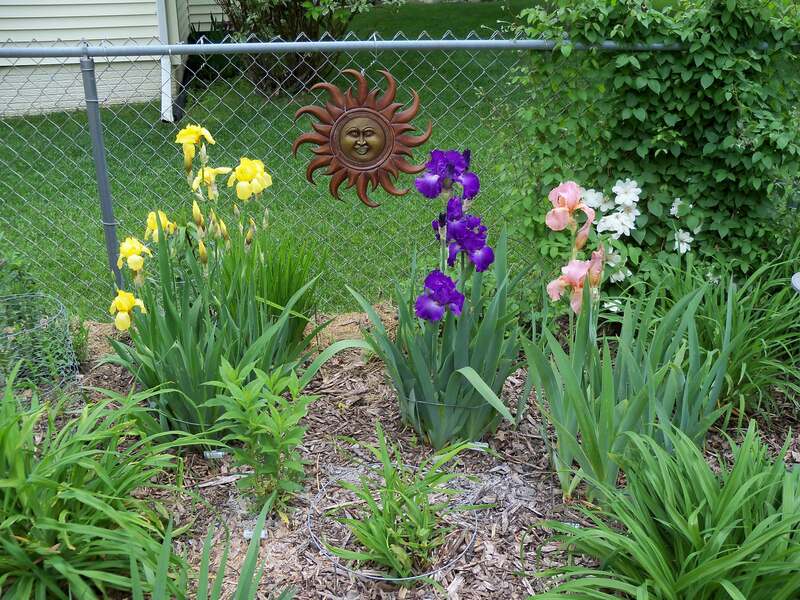 The list of eligible irises was included in the Spring issue of the Irises Bulletin. Your votes, either the ballot or your list, should reach our RVP by September 1st. Kelly’s new email is gardens@kellydnorris.com and his updated address is in the Summer issue. There is at least one iris in the list by a Region 21 hybridizer; LeRoy Meininger has ‘Beneath My Wings’. Please let me know if there are any others so we can add them to our website. Our annual Fall Meeting is in Kearney, Nebraska this year on Friday, August 11 and Saturday, August 12. The form for registration was in the Spring Region 21 Bulletin and you can also download the form: Registration Form Aug 2017 (PDF). A quick recap: Friday afternoon there is an optional tour of the G. W. Frank Museum of History and Culture, followed by a Welcome Reception, an Affiliate Panel and Roundtable Discussion, and a Board Meeting that everyone is invited to. Followed by continuing the reception. Saturday begins with Jean Morris presenting Judges Training/Education sessions on Tall Bearded Irises and Ethics. Then a potluck lunch and Awards Program, Membership meeting, and Iris Auction. There is also an Iris Swap Meet Table. And we finish at 3. Come and enjoy with your friends! Region 21 member Wanda Lunn and her garden will be part of the July/August 2017 issue of Iowa Gardener. You can see part of this article “New and old grow in harmony in Cedar Rapids, Iowa” online. The complete article “Harmoniously Blending the New and Old” can be found as a garden profile on pages 58-63. I should also mention that in April the Heart of Iowa Iris Growers had Wanda speak to us on historic irises and HIPS. She was a great speaker, knowledgeable and very enthusiastic. Thank you Wanda!